Upcycle that old Tshirt into a new T-shirt headband. 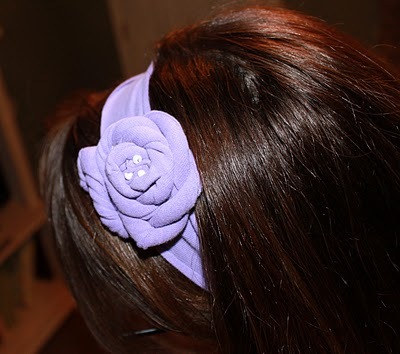 An easy DIY craft tutorial idea for a very trendy hair accessory you can make in any color! 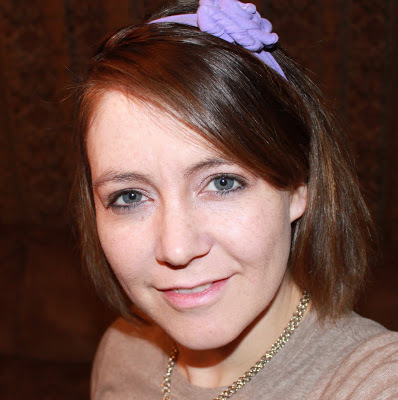 Sara at the Craft Snob created an amazing tutorial for this cute t-shirt headband. It looked so simple how could I not make my own?! As the title suggests, she made the super cute headband out of an old shirt. Her tutorial is very simple to follow, so go to Craft Snob for the tutorial. What do you think? I think my girls are going to have lots of new headbands in the near future! What have you made with an old t-shirt? Share and leave a comment below! SAVE T-SHIRT HEADBAND TO YOUR FAVORITE DIY FASHION PINTEREST BOARD! Oh so cute! thanks for sharing! p.s. purple is my secret favorite color. Nice! I am definitely going to gave to make some for me and my girls! All of ours are too big or too small. P.S. Read your ‘about me’ blurb and it was great to hear you have time to craft now. My girls are 12 months and 27 months and I miss having me-time for crafting! Great idea for a blog btw! My blog gets neglected because I can spend so much time surfing the blogosphere for crafty inspiration! I need to work through this because this is too cute! Maybe I will give it a try! Wow, I love it. I will have to try this. just wanted to let you know that I have mentioned this post on my blog. If you wish for me to remove any material please let me know.